One thing is clear—consumers and many skin care professionals do not know as much about safe sun as they should. Our profession needs to embrace educating clients on sunscreens, and safe sun needs to become more paramount. There are a myriad of popular misconce­ptions, even about SPF ratings. It is amazing to think that many consumers and skin care professionals thought an SPF rating of 15 meant that one could safely stay in the sun for 15 hours. SPF is not related to time of solar exposure, but rather the amount of solar exposure which varies based on the time of day. One hour in the sun at 9 am may equate to 15 minutes at 1 pm. The goal of this article is to provide a primer on sunscreen rules and regulations, what is allowed and what is not coupled with the tortuous and still pending litany of the U.S. Food and Drug Administ­ration (FDA) regulations governing sunscreens, which are classified as over the counter (OTC) drugs. Our personal safety and the environmental health of the planet are greatly impacted by sun care as is the spiraling cost of health care for increased skin cancer, which is becoming an expensive aspect of health care. Learn more about how sunscreen has changed as well as the up and coming FDA regulations in our digital edition of Skin Inc! The flaking and dry patches have built up on your skin over the chilly season, so it’s time to slough off the dead skin cells and reveal the fresh, new layers underneath for a smoother and radiant complexion. Plus, exfoliating helps all the following skincare products you apply absorb more efficiently. Try ILUMA intense brightening exfoliating powder, which gently buffs away the cells that cause you to appear lackluster and uneven. Start your spring cleaning with a skin deep clean. To jumpstart your road to smooth, fresh skin, commit to using a mask every week. Because masks “dry” on your face and create an occlusive cover, the nourishing, cleansing and revitalizing properties are delivered more intensely. 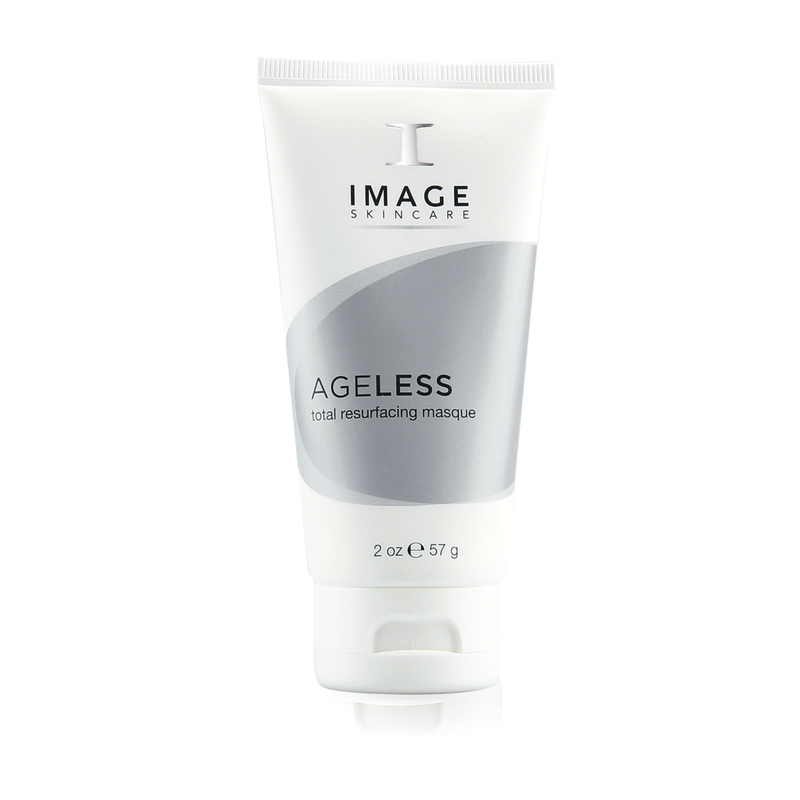 Our AGELESS total resurfacing masque, called our at-home “mini-peel,” is the perfect post-winter mask, as it exfoliates skin’s surface with a blend of alpha hydroxy acids to help visibly minimize dark spots and dullness. Now that the sun is more apparent and out of winter hiding, you’ll want to take care of your eyes, the most fragile and thinnest area of your skin. Although UV rays are prevalent no matter the season, now you’re physically squinting more against the brightness. 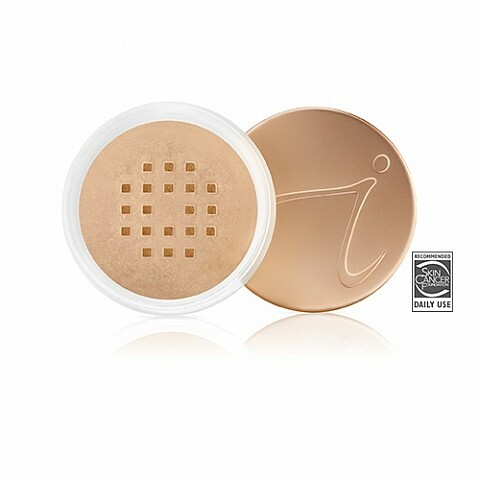 Use ILUMA intense brightening eye crème day and night. If your face was the only exposed part of your body during the winter, you’re probably looking forward to letting your arms and legs get their fair share of attention, too. Your body deserves nurturing after being wrapped up and hidden the last couple of months, so give it a spa-like exfoliation with BODY SPA exfoliating body scrub and slather it head to toe with BODY SPA rejuvenating body lotion for an all-over glow. Many women can remember the first time they saw their reflection and thought, “My skin just isn’t what it used to be.” Whether it’s softening the appearance fine lines or reviving brightness, we all want our skin to look more vibrant. What if there was a magic potion that could make our skin appear younger and fresh? Collagen supplements aren’t magic, but they could be just the thing you’re looking for. Read on to find out more about drinking collagen—and learn some of the myths and facts about this revolutionary supplement. MYTH: Consuming any collagen product will replace collagen in your skin. FACT: You might have heard the word “peptide” thrown around when it comes to skincare. A peptide is an amino acid chain that your body can actually use. Collagen comes in many forms and is present in some foods. However, for collagen to be absorbed by your body, it needs to be broken down into peptides. Hydrolyzed collagen peptides are made up of shorter chains that are easy for your body to digest. Before you take a collagen supplement, make sure it contains collagen peptides for easy absorption. MYTH: Collagen is the same as gelatin. FACT: You may have heard the terms collagen and gelatin used interchangeably, but the two are not the same. Collagen and gelatin are both made from the bones and tissues of animals. As such, they both contain the same amino acids. When collagen is boiled and processed, it becomes gelatin, a substance used in many foods and as a supplement in its own right. Our YANA Daily Collagen Shots are part of a healthy skincare routine, starting from the inside out. 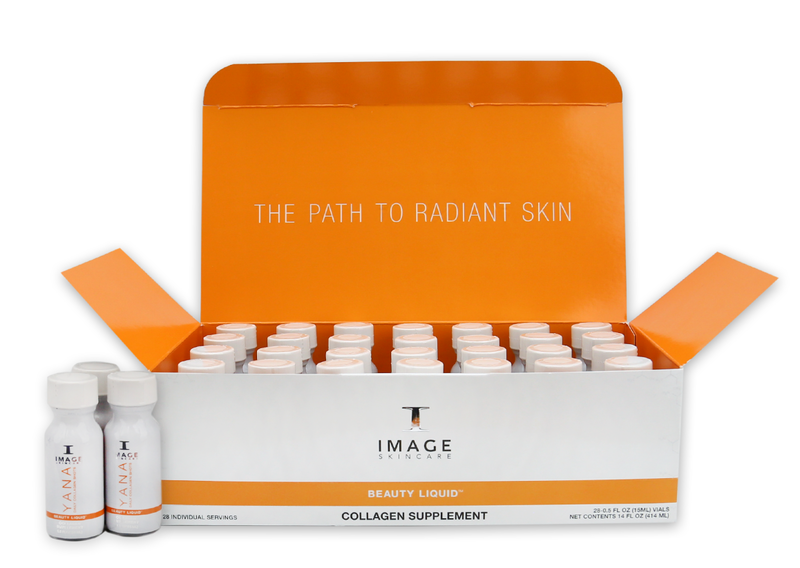 This innovative beauty drink not only contains hydrolyzed collagen peptides but also an ultra-nutraceutical antioxidant complex to contribute to the visual appearance of smoother, more radiant skin. Like all of our products, our Daily Collagen Shots use the most up-to-date scientific research to help your skin look its best. You can rest assured that YANA Daily Collagen Shots are of the highest quality. Drink daily to support the health of your skin! First and foremost, start using mineral makeup! If you’re already using mineral makeup, you’re one step ahead. Minerals are very water resistant, have minimal transference, are long-lasting and can provide broad spectrum sun protection. They’re the ideal choice when you want to look fabulous all day, and they give the overall appearance of soft, airbrushed skin. Tip #2: Moisturize, Moisturize, Moisturize! Now that you’re using mineral makeup, prep your skin with a moisturizer. 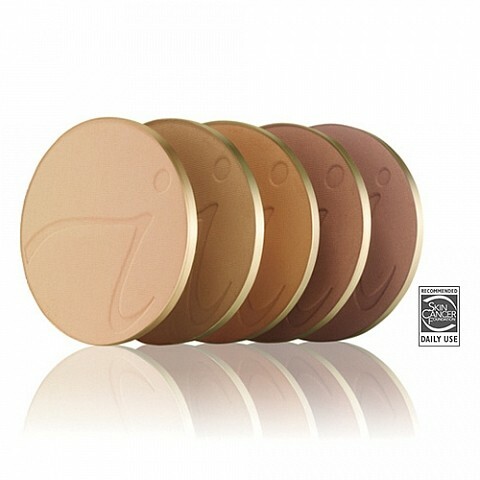 Minerals adhere best to skin that is hydrated, ensuring your makeup lasts longer. Try our BeautyPrep Face Moisturizer or Smooth Affair Facial Primer and Brightener to infuse moisture into your skin before you apply your makeup. If you don’t have time (or never remember) to re-apply your lipstick after you eat or drink, fear not! The long-lasting effect of powder mineral foundation works on lips too. Give your lipstick staying-power by applying a thin layer of pressed powder on them before you swipe on your favorite shade. This will keep your lipstick in place, even through your morning coffee. If you find your eye shadow creases by the time you leave work, try using a thin layer of eye primer before you apply your shadow. You can also save time in your morning routine by using Smooth Affair for Eyes eye primer as an eye shadow. Remember, most eye primers are cream formulas, so if you apply too much, they will inevitably crease too. The easiest, and most refreshing thing you can do to obtain long-lasting makeup is finishing your look with a spritz. Facial mists, like our Hydration Sprays, help set the minerals and create greater adherence to the skin. Need another reason to add this step to your routine? Some of our hydrating, delightfully scented sprays benefit those effected by breast cancer— 100% of the profits for Lemongrass Love and Smell the Roses goes to Living Beyond Breast Cancer. Clients often visit the spa to have treatments and purchase products that help reduce wrinkles and fine lines. In the spa professional’s quest to help them look younger, it is important to understand the fundamentals of how the face ages. Val Lambros, M.D., clinical professor of plastic surgery at University of California, Irvine, has contributed to literature in regards to how the face ages. At the Aesthetic Meeting of the American Society for Aesthetic Plastic Surgery in Las Vegas, he presented, 3D Facial Averaging, which is the aging progress shown in 3D images through a 15-year time span. The 15-year study aimed to understand the progression of facial aging with a comparison of old and young patients in photographs in the year 2000. In 2015, Lambros averaged hundreds of images of faces together as one image and animated another hundred images in an age group of 50 years and older to show the progression of aging. According to Lambros, his study found the thinning of the lips influence the base of the nose, which pulls the tip of the nose toward the lip, in addition to influencing the nasolabial crease. Lambros has conducted other research that suggests vertical descent of skin and subcutaneous tissue is not a major cause of aging. This research can be found in a 2007 study he published in Plastic and Reconstr­uctive Surgery. He have been a strong component of filling rather than pulling in facial plastic surgery. Great mineral foundations, like our PurePressed Base Mineral Foundation, can be used as both a foundation and a concealer. 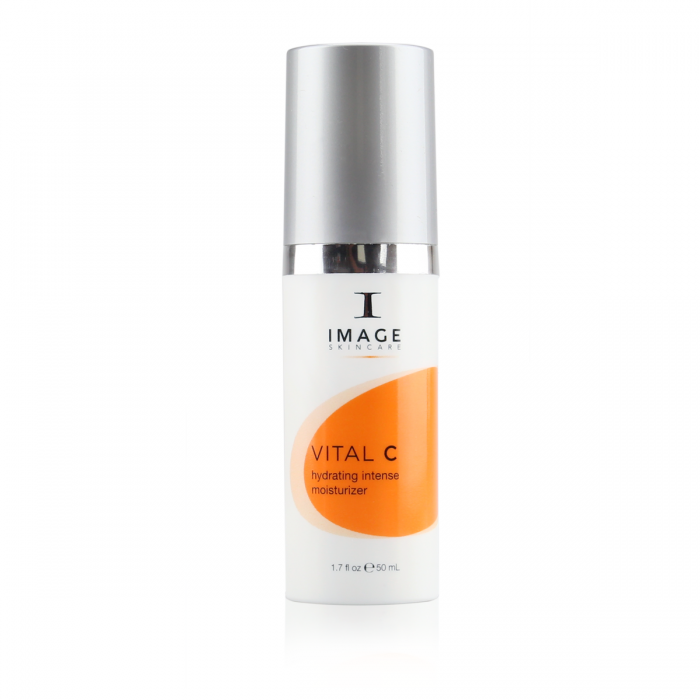 It also contains broad spectrum SPF to protect you from harmful UV rays and is water resistant for up to 40 minutes! Select a peach and a cream eye shadow with a little shimmer (we suggest our PurePressed Eye Shadow in Peach Sherbet and Cream). You can use the two colors in multiple ways; in addition to adding color to your eye lids, they quadruple as a highlighter, blush and lip color!. A natural brown eyeliner, like our Basic Brown Eye Pencil, is great for lining your eyes, but if you’re a brunette, you could also get away with using it as an eyebrow pencil. If you have lighter hair, we recommend using a lighter colored eyeliner, like taupe. Lip Balm is the best finishing touch to any look. It moisturizes your lips for a supple pout, and if you use our LipDrink Lip Balm with SPF 15, you also get the added bonus of sun protection! First, use your Retractable Handi Brushto apply your foundation. Then, use a Flocked Sponge to layer foundation over any areas that may need a little extra concealing. Using your ring finger apply the cream eye shadow to the lid of your eye and as a highlighter on your brow bone. Next, use your finger again to apply the peach shade to the outer corners of your eyes and into the crease. Starting from the inner corner of your eye and working your way out to a slight wing, line your upper lash line with your Brown Eye Pencil. Also, use the eye pencil to define your brows by filling in your eyebrows using small, hair-like strokes. With your index and middle finger, lightly swipe the cream eye shadow on your cheek bone as a highlighter. Then, with the same two fingers, apply the peach shade to the apples of your cheek with light strokes. Dab the peach shade onto your lips using your middle finger for a soft pop of color. Finish your look with a swipe of lip balm on your lips. Show us your favorite 5-product beach look on Instagram by tagging @janeiredale and #friendfavorite. 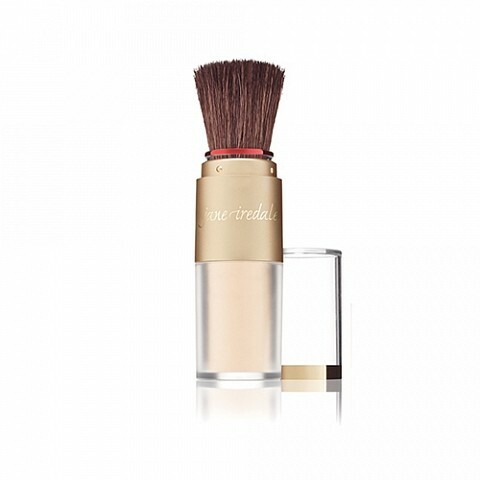 Powder Foundation + Travel Brush: Powder foundation (likePurePressed Base or Amazing Base) is extremely versatile and can be used as a foundation, concealer or even finishing powder. Ours even contain SPF to protect from the sun. Keep the inside of your bag clean by bringing a travel foundation brush that’s either retractable or can be filled with the loose powder. Cream Blush: A cream blush stick makes reapplication easy. You can apply it with your finger, so there’s no need for a blush brush! One or Two Lip Products: We know how easy it is to carry a collection of lip products for every occasion, but that can weigh down your bag. Lighten the load by only bringing the lipstick or lip gloss used in your makeup look that day, and swap out the products each day or so. 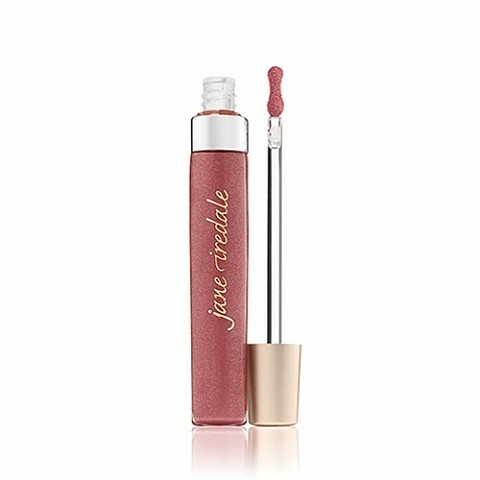 Liquid Eye Shadow: If you usually touch up your eye shadow midday, toss a creamy, liquid eye shadow in your bag. Use the built-in brush for easy application and to cut down on the number of brushes you have to carry. Brown Eyeliner: A brown eye pencil can be used in a number of different ways. Apply it over your current eyeliner (black or brown) to touch up your look after a long day work or use it as an eyebrow pencil to define your brows before you go out. Show us your makeup bag essentials! 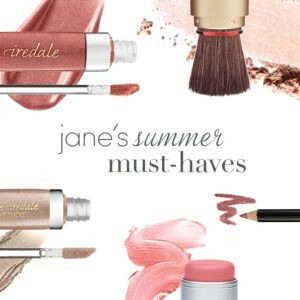 Share a picture with us on Instagram by tagging @janeiredale #makeupmusthaves.